As Muslim faithfuls celebrate Eid El Kabir, Nigerians have been urged to emulate the Holy Prophet Mohammed by imbibing the ideals of sacrifice and the fear of Allah. This was contained in a Sallah message by Alhaji Tajudeen Audu, the Makama of Lafiagi. He called on Muslims and Nigerians in general to live up to the highest ideals of religious beliefs, including honesty, selfless service, justice, equity, dutifulnes and harmonious co-existence with others. Makama appealed to Muslims to eschew violence and seek peace with their neighbors in keeping with the tenets of Islam, reminding them that no meaningful progress can take place in any society devoid of peace. 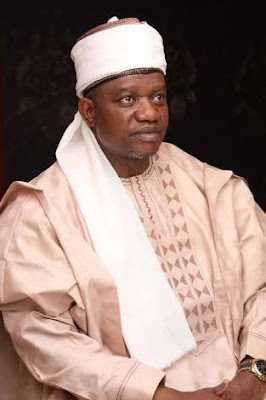 While congratulating Muslims, the gubernatorial aspirant urged them to use the occasion of the Eid El Kabir to pray for the peace, progress and economic emancipation of the country. He also urged Nigerians to be patriotic and put the interest of the nation above self aggrandisement. While praying for Allah's blessings upon all those who have undertaken the Hajj this year and on the country, Alhaji Tajudeen Audu wished all Nigerians currently in the Holy land a safe journey back home.